So I'm finally putting together my WIP page, although it'll probably take me a while to do this. I simply don't have much time. I also have no idea what I'm doing, but that's beside the point. My basic scheme is based on fire. I will presumably go into explosives, although I thought about being a sniper for a while. I have no idea how I'll make accurate looking explosives. I have a helmet, one of those you buy online, and I've taken the visor piece out. I plan on replacing it with something more reflective. 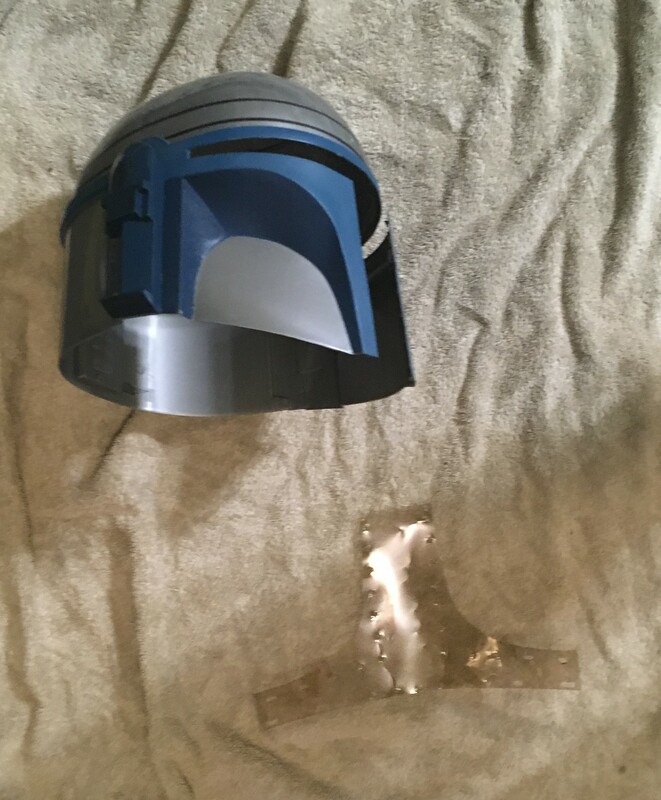 Would it work to just superglue the pieces of the helmet together? I want to have an antenna, and not a rangefinder, but I havent found a suitable antenna piece yet. 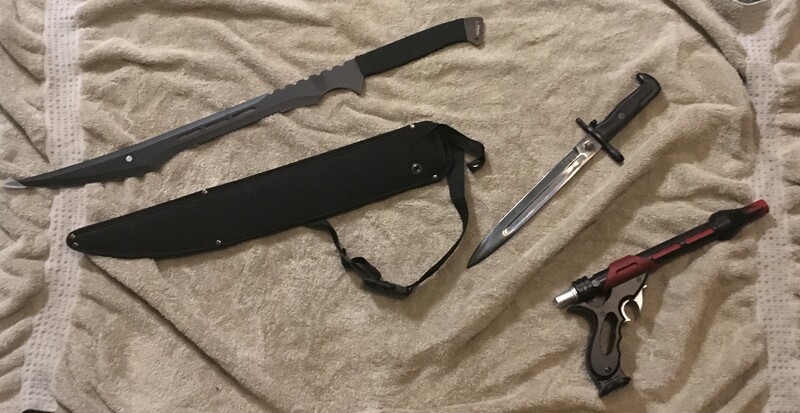 As for weapons, I plan to make a model of the shown sword/beskad, as well as one of the dagger/replica bayonet. I havent worked out how to do that yet. I've repainted my pistol mostly (how obvious does the little orange cap need to be?) although it's missing a piece on the end. Do I have to find a replacement, or is it fine how it is? I want to make my flack vest out of duck cloth, and use the dickies work clothes I saw suggested somewhere for on top of that. Possibly a skintight long sleeve under the shirt. I have no idea how to make gauntlets. None at all. 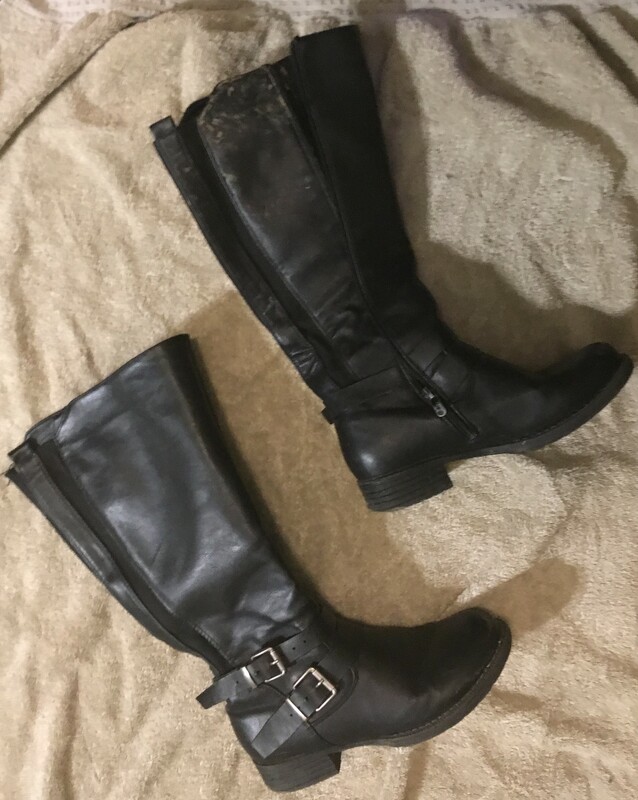 I was given these boots, which may or may not work. They just barely fit. Do I need to cover the zipper/buckles? 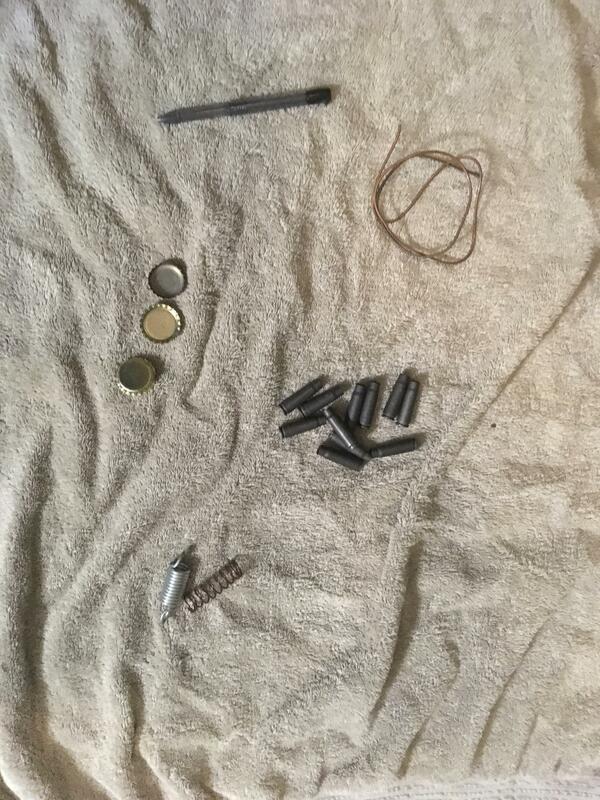 I also have collected a few odds and ends - some spent bullet casings, bottlecaps, i have a ton of wires like the one shown. I also destroyed a pen casing to make that tube there, which may turn into some sort of launcher/dart/explosive system on gauntlets. We will see. Aru'e be ner aru'e ner besbe'trayc. - The enemy of my enemy is my weapon. It needs some re-inforcing, and you have to make the seam between the two pieces completely invisible, which will require some kind of filler. More info in that tutorial.